We keep a selection of good quality Student Violin Bows made of Brazil Wood with real horse hair and a few more expensive and better Pernambuco Violin bows as used by the leading players. 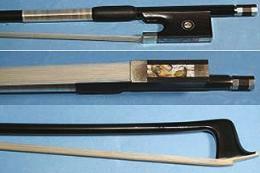 Latterly we also stock a selection of excellent Carbon Fibre Violin Bows. Violin Bows come in several sizes, we try and keep a stock of 1/4, 1/2, 3/4 and full size. We send bows by first class post, in good quality cardboard tubes, wrapped in bubblewrap. Purchase immediately using your PayPal account or Credit Card. Just click on the Add To Cart button. 4/4 size Student Bow from Primavera. Nice round brazil wood stick with natural horse hair. Hard wood frog with mother of pearl eye. A good replacement for beginner outfits. 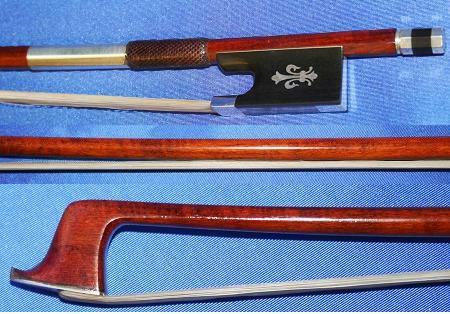 1/8 Size Violin Bow from Primavera. Nice round Brazil wood stick with natural horse hair. Attractive hardwood frog with mother of pearl eye. An economic replacement for the bow in student outfits. 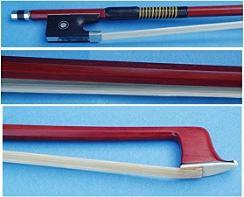 1/4 Size Violin Bow from Primavera. Nice round Brazil wood stick with natural horse hair. Attractive hardwood frog with mother of pearl eye. An economic replacement for the bow in student outfits. 3/4 size Student Bow from Primavera. Nice round brazil wood stick with natural horse hair. Hard wood frog with mother of pearl eye. A good replacement for beginner outfits. 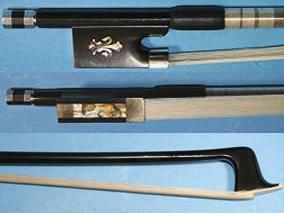 1/2 Size Violin Bow from Primavera. Nice round Brazil wood stick with natural horse hair. Attractive hardwood frog with mother of pearl eye. An economic replacement for the bow in student outfits. Superior Brazilwood bow, beautifully finished stick. The frog is of Ebony with a fine mother of pearl flower insert. The hair is good unbleached Mongolian horse-hair. 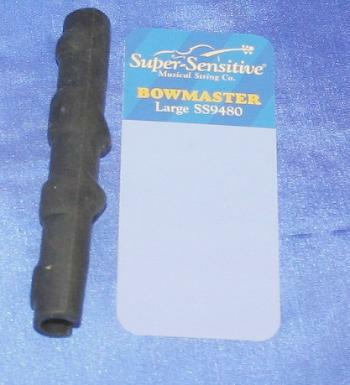 The bow weighs a little over 60Grams, is well balanced and plays very well.